Based on the research that I have conducted, on Pam “Fat Free” Spray. It states that the ingredients of Pam, have 0% in fat. But I have research about this certain product. And I can say that Pam Spray has indeed a certain amount of fat. In the ingredients it says that there is Canola Oil and Lecithin from Soybeans (Soybean Lecithin Vegetable oil). 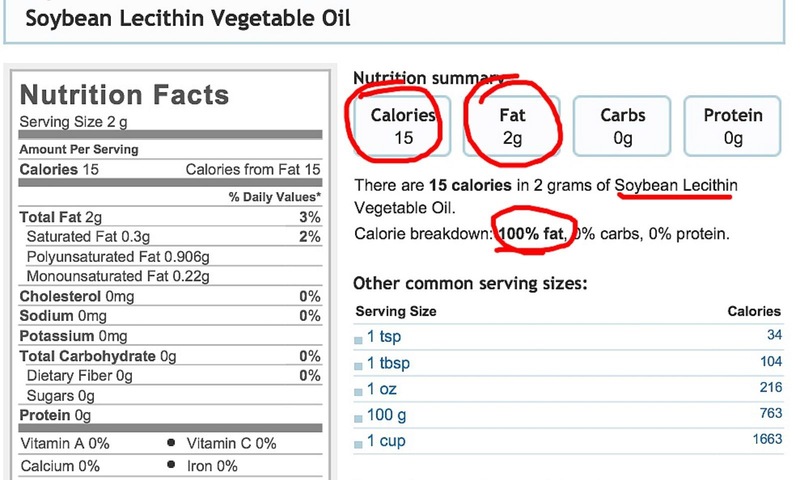 When I searched about these ingredients I did find out for a fact that in these ingredients there is indeed a percentage of fat in both of them. In canola oil there is approximately 2% of trans fat. In Lecithin from Soybeans (Soybean Lecithin Vegetable oil) there is approximately 100% of fat in it. And there is 15 grams of calories in it too! This nutrition fact is wrong because, based on research that I have conducted, what the company of Pam cooking spray put on the can is false. It is false because it was clearly shown that there is in fact a percentage of fat. The company should not have done this due to many reason, like health, or food quality, and also safety. And another sign of error on the can is the label, it states “FAT FREE COOKING” when they shouldn’t have put it, because there is fat in the spray. It is an inaccurate nutrition fact label, the company should’ve done a proper research on the spray. They have deceived a lot of people into buying there product, and a lot of people believe that there is actually no fat, when there really is. 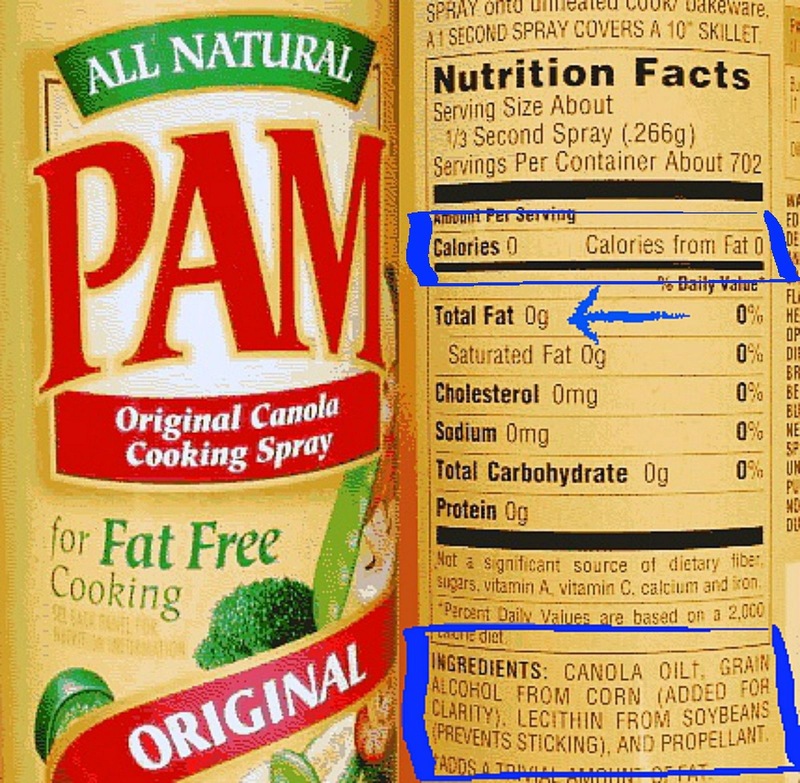 Therefore I can say that there is indeed a certain amount of fat in the Pam Spray, this means that what the company of Pam cooking is saying is inaccurate, because there is an amount of fat in two ingredients in the spray.